This great on-to-go art tote is perfect for kids on the go — they can color and draw wherever they are! 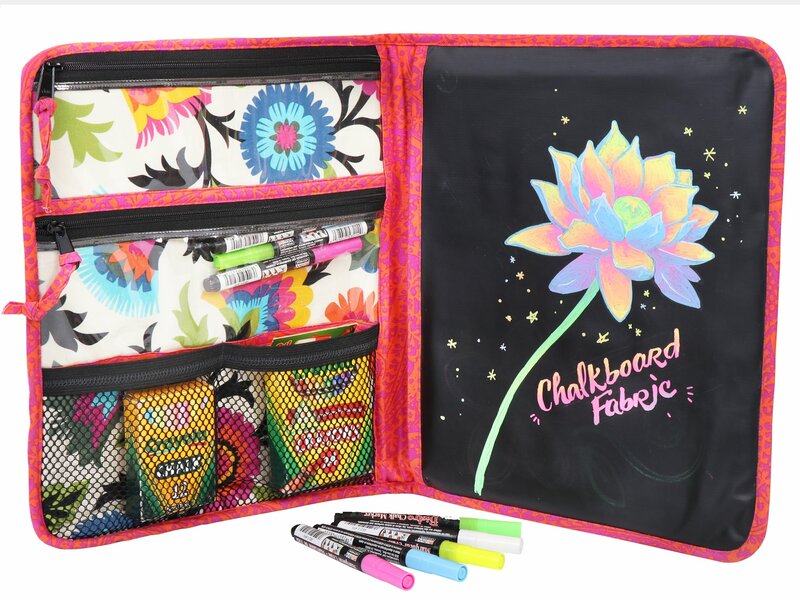 The portfolio opens to 11”H x 24”W and features a chalkboard mat and two slip pockets for storing two 9” x 12” drawing pads or coloring books. Two zippered see-through pockets hold scissors, markers, pencils and more and two elastic-topped mesh pockets are perfect for boxes of crayons and chalk.